The major children’s literature awards in the USA are the Newbery and Caldecott Medals. The winners of both awards were announced earlier in the year so I'm a little late with this post. The Newbery Medal is known internationally and was first awarded in 1922. It was named after the eighteenth-century British bookseller John Newbery. The Association for Library Service to Children (ALSC) awards it annually. It is presented to the author of the book judged to have made the most distinguished contribution to American literature for children. The books can be works of fiction, non-fiction and poetry. The author must be a citizen or resident of the United States and the work written for children up to and including 14 years. The Caldecott Medal was named in honour of nineteenth-century English illustrator Randolph Caldecott. It is the most significant award for picture books in the USA. 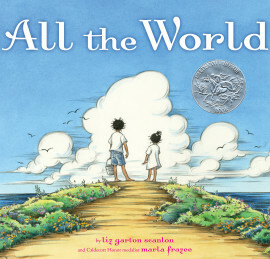 The Association for Library Service to Children (ALSC) also awards it annually to the artist of the most distinguished American picture book for children. The awards commenced in 1938. 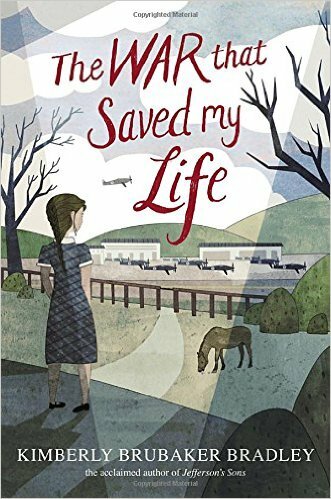 This true story was based on the life of Harry Colebourn, a veterinarian who in 1914 headed off to be part of World War I to tend the horses. 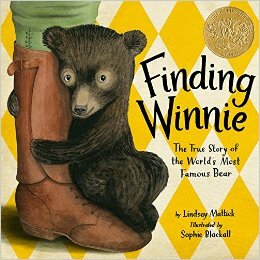 Along the way he rescued a baby bear called her Winnie (after Winnipeg) who he took with him to war. Harry travelled from rural Canada in a convoy across the ocean to an army base in England, but this isn't the end of the story. Finally, Winnie ends up in the London Zoo, where Winnie makes another friend, a boy named Christopher Robin. This is the wonderful and true story that inspired Winnie-the-Pooh. 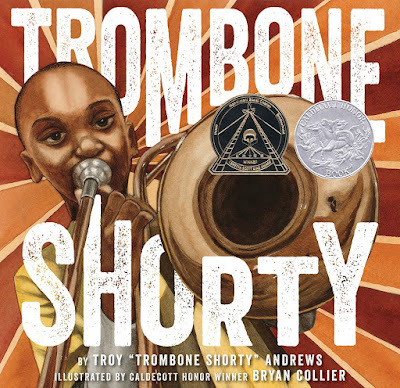 Troy “Trombone Shorty” was from the Tremé neighborhood in New Orleans. He got his nickname by wielding a trombone twice as long as he was high. By age six he was leading his own band, and today this Grammy-nominated artist headlines the legendary New Orleans Jazz Fest. With the brilliant illustrations of Bryan Collier, Andrews has created a wonderful picture book autobiography. The book tells how Troy followed his dream of becoming a musician, despite the odds, until he reached international stardom. Trombone Shorty is a celebration of the rich cultural history of New Orleans and the power of music. This is a delightful picture book from the legendary author and illustrator Kevin Henkes, a previous Caldecott winner with 'Owen' and two Newbery Honour books. Five friends sit happily on a windowsill, waiting for something amazing to happen. The owl is waiting for the moon. The pig is waiting for the rain. The bear is waiting for the wind. The puppy is waiting for the snow. And the rabbit is just looking out the window because he likes to wait! But will anything happen? Will patience win in the end? Or might they just do something else? 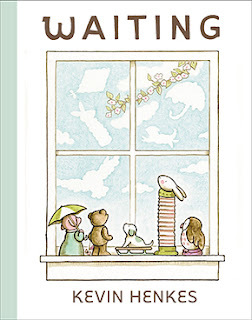 Children who know what it means to wait and dream will love this book. Last Stop on Market Street, illustrated by Christian Robinson & written by Matt de le Peña (G. P. Putnam’s Sons, an imprint of Penguin). 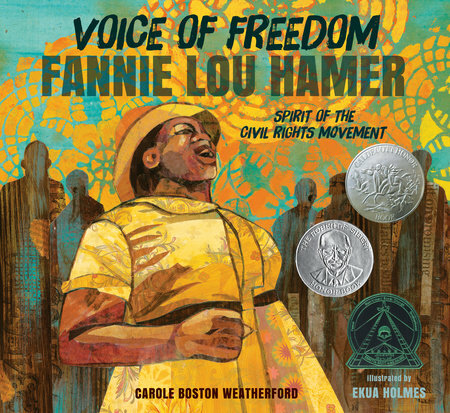 This book was also named as a 2016 Coretta Scott King Illustrator Honour Book. The Newbery Medal Chair suggested that we “Read it aloud to someone (so that language can) elicit questions, spark imagination and make us laugh is at its best when spoken." This is a book with a powerful plot, fine characters and economical use of language. It is a novel about courage, community and conviction. Set during World War II, Nine-year-old Ada has lived her whole life in a one-room apartment, for her mother is embarrassed by Ada’s twisted foot. When her brother is sent to London to escape the war, Ada sneaks out to join him. A wonderful piece of historical fiction family, identity and overcoming adversity. Astrid falls in love with roller derby and learns how to be tougher, stronger and fearless. Victoria Jamieson captures the highs and lows of growing up in this dynamic graphic novel. Otto is lost in a forbidden forest where he meets three unusual sisters. He suddenly finds himself part of a strange quest involving a prophecy, a promise, and a harmonica. Many years later three children become interwoven with the same harmonica. All have daunting challenges - a father to be rescued, a family to keep together and a brother to protect. An invisible thread of destiny binds them together. 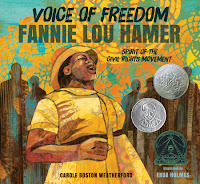 The Coretta Scott King (Author) Awards, recognize African American authors and illustrators of outstanding books for children and young adults. Gone Crazy in Alabama, written by Rita Williams-Garcia, is the King Author Book winner. The book is published by Amistad, an imprint of HarperCollins Publishers. X: A Novel, by Ilyasah Shabazz with Kekla Magoon and published by Candlewick Press. 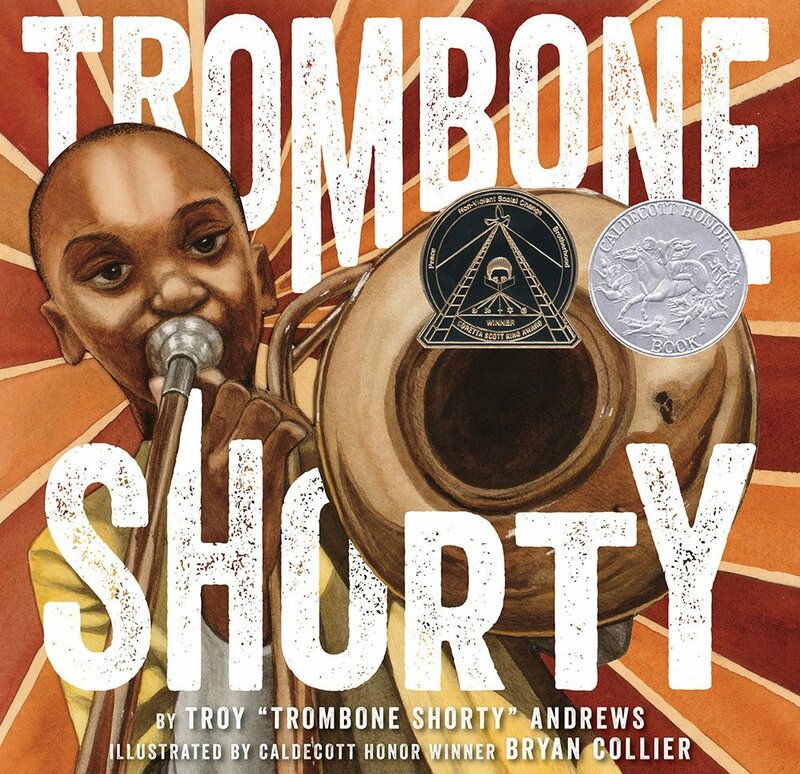 Trombone Shorty, illustrated by Bryan Collier, is the King Illustrator Book winner. 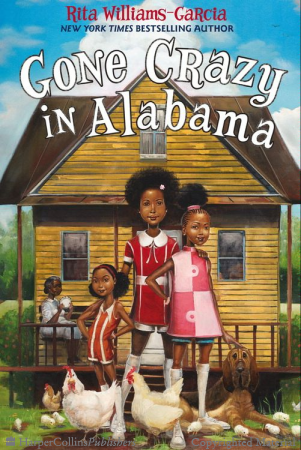 The book was written by Troy Andrews and Bill Taylor and published by Abrams Books for Young Readers, an imprint of ABRAMS. 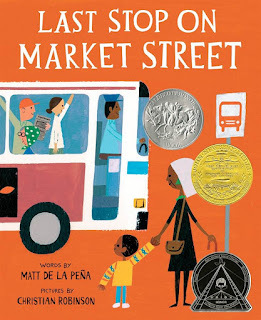 Last Stop on Market Street, illustrated by Christian Robinson, written by Matt de la Peña and published by G. P. Putnam’s Sons, an imprint of Penguin Group USA. 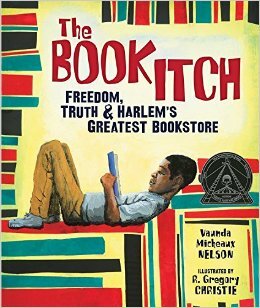 The full list of all previous Newbery and Caldecott Medal winners and honour books can be found (HERE). This first category includes books that tell of the fine balance between humanity and the environment and the disastrous consequences when we get this balance wrong. In these varied picture books it is not a matter of deliberate action, but rather ignorance and failure to plan effectively, which leads to the destruction of environments whose beauty was once a lure to people. This wonderfully simple picture books for readers aged 3-7 years was a Caldecott Honour book in 2010. Using delightfully simple everyday images of a family interacting with their world and precision language, Scanlon tells a powerful story of how we 'softly' interact with and mark our world. It is a simple, yet profound book. The author sets out to affirm "the importance of all things great and small, from the tiniest shell on the beach, to warm family connections, to the widest sunset sky". She succeeds with the brilliant illustrator Marla Frazee to do just this. This is a stunning book which was nominated for the Kate Greenaway Medal in 2012. 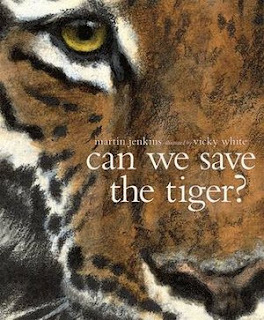 Conservationist Martin Jenkins and Vicky White celebrate some of the world's most endangered species in this book and show us why we must try to save them. Martin is a conservation biologist and consultant for the UN conservation organisation WCMC. Vicky White had experience as a zookeeper at the Cheshire Zoo caring for great apes. This is Vicky's second book; her first was 'Ape'. The book has stunning images and a punchy text that confronts the reader. It begins with the matter of fact reminder that some of the animals and plants we have shared the planet with "...have coped with the changes very well. But some haven't. In fact, some have coped so badly that they're not here any more. They're extinct". Jenkins then introduces us to five species that are extinct, the Dodo, Steller's Sea Cow, the Tasmanian Tiger (Marsupial Wolf), Great Auk and Broad-faced Potoroo, before another challenge, "and then there are all those species that are still around, but only just." Like the tiger! 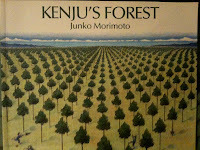 This is without a doubt one of the best conservation picture books that I've seen. White's illustrations are fine-grained pencil sketches, some in colour and some simply black and white, and are wonderful. They invite you to gaze and browse for the pictures alone. Children aged 5 to 12 will love the book. Jeannie Baker is a wonderful artist who is a master of collage who tells her stories with wonderful illustrations and a minimum of words. This book is in fact wordless that tells the story of a changing place when viewed from a boy's window. He grows from a baby to a man with the view changing from dense bush and diverse wildlife to suburbia, before he moves on to a new place on the urban fringe where no doubt the process begins afresh. 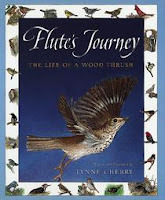 Flute is a wood thrush who migrates from North America to Costa Rica. The story traces the hatching and travels of Flute and in the process introduces the reader to issues of endangered species, environmental hazards, toxic waste, loss of habitats and co on. This is an interesting picture book that plays on the idea of the well-known rhyme 'This is the house that Jack built'; but with a twist. 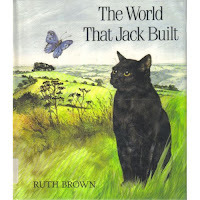 The narrative follows the main character who is a black cat chasing a butterfly. The cat's trail moves from Jack's house in the idyllic English countryside, to the trees that gave the raw materials, the stream that flowed nearby, the woods etc. The cat eventually finds its way to a much different stream that flows by the factory that guess who built? This book is the opposite message of 'Window', and tells how a boy with a vision to plant some trees in a rural farming environment sees his dream become a reality over his lifetime. And as it does, the forest becomes the playground for the town that eventually was to grow near his forest. It tells a more positive story about how humanity can improve the environment rather than just degrading it. This is an ideal book for young preschool readers. It tells the story of the friendship between a child and the earth. They play together, listen to each other, and nourish each other. When the earth is sad, the child is sad. The child sets out to find a way to make his 'friend' happy. This is a beautifully illustrated book which shows in word and image a tender and special relationship between a child and their world. Stories in this category reflect man's careless destruction of the environment motivated by greed and ignorance. These are stories that tell of humanity's failure to see environmental damage and act to prevent it. They also tend to have a much stronger ideological message. Plastic bags are cheap and an easy way to package and carry things. But when they are discarded they quickly multiply in any environment. They pile high, become mixed in garbage of all kinds, become breeding grounds for mosquitoes and other insects and vermin. Soon we have an environmental disaster. 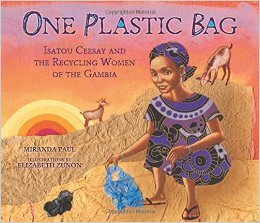 This beautifully illustrated book tells the story of how one woman Isatou Ceesay began to recycle the bags in Gambia and in the process encouraged others to join her. The outcome is an environmental success worth sharing. 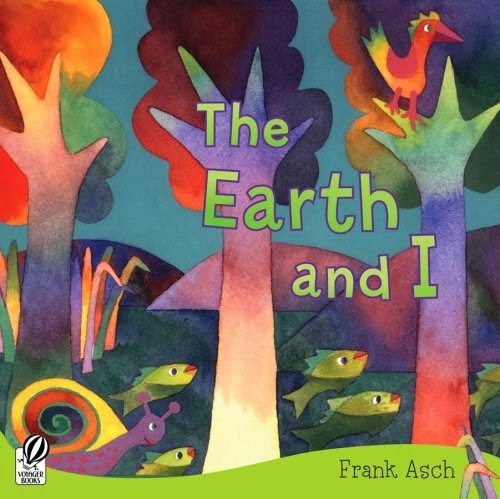 A wonderful environmental picture book for children aged 5-9 years. 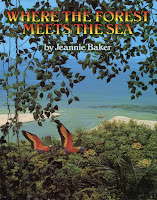 This is another wonderful book by Jeannie Baker (perhaps her best). It tells the story of a boy and his Dad who go regularly to a wonderful beach in northern Queensland at a place where the ocean meets the edge of the Daintree Rainforest. This threatened landscape has been shrinking for decades. As the boy explores the rainforest he imagines what it might have been like 100 million years before when dinosaurs roamed. He finishes the day cooking fish on the beach and contemplates coming again someday. But in the background we see a landscape overlain by ghostly images of what it might be like when he comes back again, should development do in this place what it has done in many other parts of the Daintree. 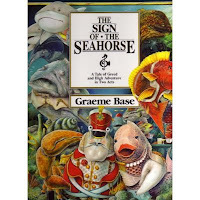 This wonderful ballad tells of the exploitation of an underwater world by a corrupt and evil Groper, his side kick Swordfish and a band of 'henchfish', who pollute a reef to drive out its inhabitants, secure their 'land' at rock bottom prices, and then sell them new homes on another reef. A tale of greed, corruption, and environmental exploitation, where good eventually wins out. Many of the books of Dr Seuss offer a social commentary (see my post on Seuss here). In this story a small boy notices at the end of a desolate street on the edge of town, a ramshackle house with a memorial to the 'Lorax'. What was it he wonders as he gazes at the home of the Once-ler? The Once-ler drops his Whisper-ma-Phone and for a small fee tells the boy the story of the Lorax and the once beautiful Truffula trees that covered the landscape, and the creatures that enjoyed the environment they helped to sustain. The story of greed, excess, and environmental destruction ends with the Once-ler giving the boy the last seed of a Truffula tree. Perhaps, just perhaps, in his young hands there may be hope for this place once more. 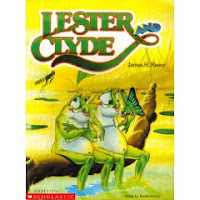 This is the story of two frogs one a young and mischievous youngster (Lester) and the other an older stayed frog named Clyde. Lester plays just one too many tricks and is kicked out of their beautiful wetland and heads off to find his own way in the world. He is shocked to find that not all ponds are like his, and in fact some have been destroyed and made unsuitable for frogs. He returns repentant and is embraced by Clyde and the story ends happily with the words of Clyde: "try not to worry, although it's so wrong, at least we're safe here...until Man comes along!" Books in this category celebrate the world's biodiversity and beauty without pointing to problems or making strong comments about human action. These are books where often the environment is secondary to the story, but where everything about the book reinforces the value, beauty and wonder of our world. This multi award winning book tells how the author became interested in science and set her on a quest to protect threatened species. 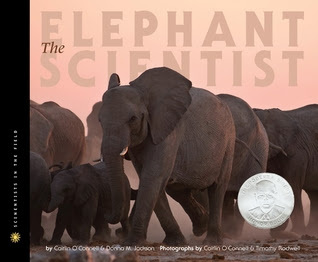 Years later camouflaged and peering through binoculars, Caitlin O'Connell an American scientist traveled to Namibia to study African elephants in their natural habitat. She couldn't believe what she was seeing. As the mighty matriarch scanned the horizon, the other elephants followed suit, stopping midstride and standing as still as statues. The observation would be one of many to guide O'Connell to a groundbreaking discovery! This (as the name suggests) is the story of a back yard spider who weaves its wonderful web each night using its skill and the elements to survive. Its encounter's with man is just one of life's challenges, just as dangerous is nature's elements of storm, wind and rain. The Wind in the Willows is one of my favourite books (see my previous post on it here). 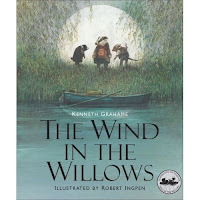 Kenneth Grahame manages to tell a wonderful tale of animals of the English wood and riverbank. It opens in spring, and the weather is fine and animals are stirring from their winter slumber. We first meet the good-natured and uncomplicated Mole discards his spring cleaning and leaves his underground home. He reaches the river, a thing he had never seen before and meets the wise and worldly Ratty (in reality it was a ‘water vole’), who sees life as something that must be lived along the river. A parade of rich characters is introduced against a backdrop of the wonderful physical world. Otter and Badger, Toad, Stoats and Weasels are introduced as he weaves his wonderful tale of friendship, devotion and the challenges and 'human' frailties of life. 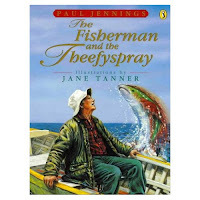 There are many wonderful versions including the more recent illustrated version with Robert Ingpen's wonderful art (here). 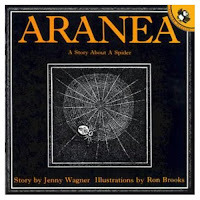 This classic picture book was the winner of the Caldecott Medal in 1947. It is a fine example of a book that had its genesis in a place that formed part of the author’s life. Weisgard loved this island where he explored its waters. His wonderful illustrations capture the beauty and rich biodiversity of this place. This is a book for the very young. 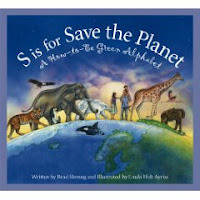 It is an alphabet book that focuses on environmental issues. The illustrations support the clever use of simple text to raise environmental issues and suggest ways to save the planet from environmental disaster. Suitable for children aged 3-6 years. There are a number of children's books that simply celebrate the world as creation. Some of these books simply focus on the beauty of nature, while others offer creation accounts, myths and metaphysical explanations of the world and humanity's connection to it. This beautifully illustrated book is centred on a waterhole that is progressively drying up. 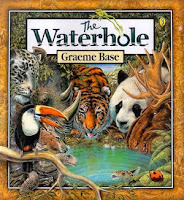 While the book is a counting book for young children, the constant focus on the waterhole and its diminishing size as the water is used by an international collection of animals, is used by Base to show how water is essential to life. Without it the land withers and dies and life is lost, but as the first drops of replenishing rains return life begins to emerge again. The Aboriginal artist who wrote and illustrated this book tells the story of a young man who lived in a rainforest at peace and in harmony with the physical world. That is, until one day after encountering a flock of amazing birds he accidentally kills a crane with dramatic consequences. 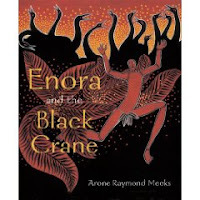 Enora and his world lose their innocence. This is another Australian Aboriginal legend that tells the Dreamtime story of a time when there were only people and how Goorialla, the great Rainbow Serpent travels across the country with a dramatic transformation of the land and the resulting creation of animal life. This story tells of the encounter of a fisherman with a strange fish and its mother. He catches young fish from deep within the sea, just after its mother has given birth to this, the last young, of its species. The old man looks at the beautiful creature as its colour and beauty begin to fade away in the bottom of his boat and he returns it to the sea. It survives and he is changed by the encounter. 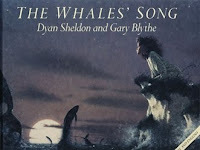 This is the story of Lilly and how she is captured by the story of the Whales' song that is told to her by her grandmother. A species once so plentiful that her grandmother would hear them sing at night, but now they are just a memory of an era of whaling that has gone. Lilly's mystical connection with the whales is the focus of the story. 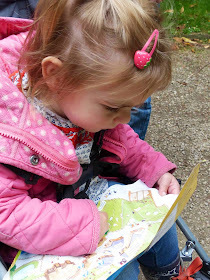 I've written before about the amazing capabilities of the brain, in particular, the capacity that the brain of the young child has to learn and change rapidly in the first years of life (here). A number of research projects have shown that babies and the very young can know, observe, imagine, explore and learn more than we previously thought possible. In a second post (here) I explored the place of 'deep practice' in learning and the increased plasticity that we now know the brain possesses. 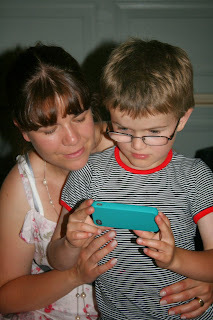 In this post I want to comment on a third area of inquiry that has demonstrated some amazing new connections between 'real life' experiences and those encountered via the experiences of human intellectual activities like reading. "I was lost in the book"
"I was so moved by that book I couldn't talk about it"
"After finishing the book I simply sat gripping it lost in a moment of devastating pain"
"Books are my escape into a world that is less painful than my everyday life"
"The book changed my life"
For many of us, the experience of literature can have quite profound impacts on us. Recent neuroscience research is beginning to give us some sense of why this might be so. This research has used MRI brain scans to help us understand the way the brain reacts when the subjects read certain things. Of particular interest has been what happens to brain activity when we read about experiences, compared to how it reacts when we have firsthand experiences. In short, the weight of various projects suggests that the brain doesn't behave that differently whether we read about experiences, or actually have real life experience. Whether read, or experienced, the same regions of the brain appear to be stimulated. Annie Paul wrote an excellent excellent overview and introduction to this area a couple of years ago (HERE). In varied research projects brain scans are revealing much about brain activity as we read texts with detailed description, evocative metaphor and event emotional exchanges between characters. Just as readers have experienced while reading, science is showing how stories stimulate the brain and can even change how we act in life. It isn't a new concept that the language regions of the brain like Broca’s and Wernicke’s are involved in the way the brain interprets written words. Research now shows that narrative activates many other parts of our brains as well. The experience of reading can feel as if it is real life. For example, experiments have shown that words like “lavender,” “cinnamon” and “soap” don't just elicit responses from the language-processing areas of our brains, they also elicit those dealing with smell. Other research has shown that reading tastes and topics impact on how readers self-identify. For example people who read the Harry Potter self-identify with wizards, while those who read Stephanie Meyers 'Twilight' vampire themed fantasy romance novels self-identify as vampires. Studies on the psychology of fiction increasingly provide the evidence for why we often experience deeply emotional experiences with books. Books influence our emotions and ideas and in fact can change us! It's worth thinking about what we read, as well as what our children read (and as an aside, what they watch). Novelist and professor of cognitive psychology at the University of Toronto Keith Oatley, suggests that reading can produce vivid simulations of reality. Rich descriptions, emotionally gripping texts and vivid human encounters offer a type of passage into the real world. Fiction he suggests offers a rich replica of life! You can read some of his work HERE. 3. Teachers and parents should give attention to trying to connect children to varied and good literature. 1. 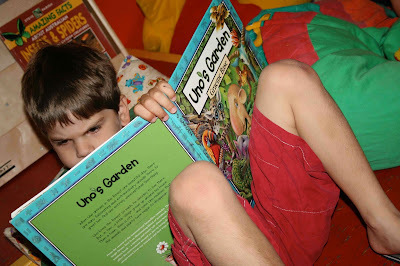 Work hard to connect children with varied books that they will enjoy 2. Help children to manage their time so that they have time to read - this might require us to restrict screen time for activities those activities that offer only limited reading opportunities. 4. 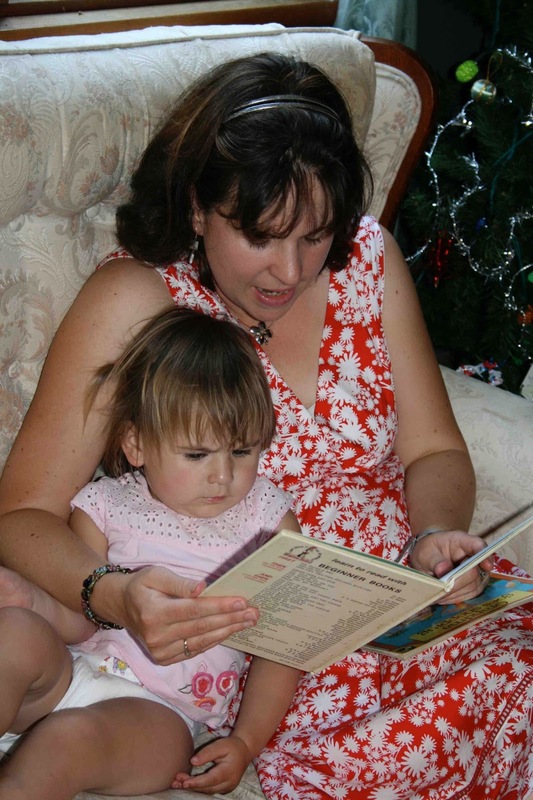 Show interest in the things children read - talk to them about their reading, ask them to share what they are reading and why, engage with them concerning the content of their reading and their interests. 5. Encourage opportunities for children to share their reading interests - try discussion groups, one-on-one reading conferences, 'dining room table' discussions with small groups of students (as developed by Nancie Atwell). 6. Help children to become writers as well - reading feeds writing and writing feeds reading. Get children excited about both by allowing them to take greater control and by supporting them at every step. Encourage them to write for real readers and try to establish ways for others to read their writing as well.